While I’m writing this towards the end of a year the topic of goals is as relevant anytime of the year. 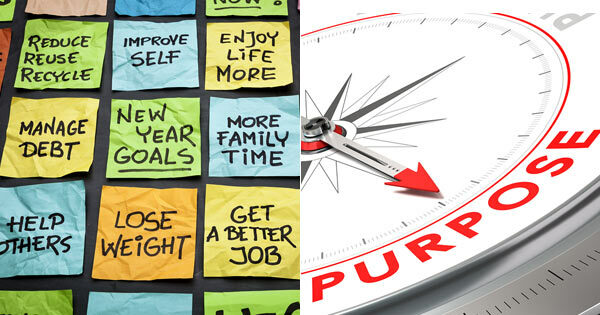 However for many, a new year signals for a vast number of people – resolutions. It’s for all intents and purposes a goal. It’s the end result, aim or ultimate desire of an individual’s efforts and ambitions. Basically, it’s all about achieving something you deem as important to accomplish, and then set out to accomplish it. Everyone has goals of some sorts, some bigger, or more important than others. Depending on the goal and the individual, the goal has a specific meaning, sometimes with the main ‘goal‘ of just being achieved for the purpose of achieving it! Who determines what a goal should be or how important it is depends on the individual defining what the goal is, and then setting it for them self. To have meaning and thereby commitment, personal goals must be ignited from deep within the individual. In order for them to be pursued and accomplished, the individual creating them must continually perpetuate the yearning for them to ultimately be achieved. At the basic level, goals come about by its creator’s blood, sweat and tears! HOW DOES ONE SET GOALS? When you discuss creating and setting goals, it would seem simple that all one really needs to have is an idea, somewhat of a plan for going about achieving it, and of course for those who are visual, the need to write it down. That’s is all that is really needed to get going with goal setting, correct? You see, goals carry weight in three regards; they can be practical, they can be feeling based, or emotionally driven, or they can be a combination of both practical and emotionally driven. When goals are created for the purpose of ‘practicality‘ they’re created because whatever you craft as your goal is done because it’s the right thing to do. There’s a certain payoff that will bring you an end result. For example, you might study in university to become a doctor, a lawyer, or an engineer. The path is clearly defined, you know what’s expected, and you set out methodically to attain what you want to achieve. When goals are based on feeling, you chase them down and do whatever it takes to achieve them because deep down attaining the goal is the essence of your being. There is a fire that burns inside of you which leads you to want to achieve whatever you want so badly because you believe your life is, and will be incomplete, if you never accomplish it. An example could be to get married and have children or serve a higher power. Then there are goals that are both practical and emotionally driven. Let’s say your father was in the police, fireman or military, and when you were younger your father joked one day you would follow in his footsteps. Your father was your role model and you admired him deeply. You were excited every time he discussed details of his work, and even took you to work. At some point a passion in you ignited, you wanted to get into the same career. You knew it was a practical, logical choice because the pedigree was in you. With that said, there was also a passion in you to achieve that dream career, and that was the only career for you! WHAT IS THE MOTIVATION FOR YOUR GOALS? 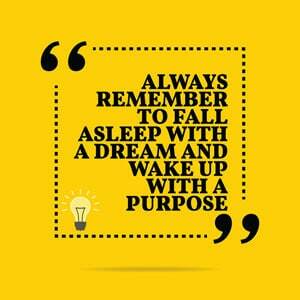 The most important part of any goal is ‘purpose‘. Purpose is a vague term, but it’s the value and energy that super-charges this word, or in this case ‘the goal‘. If goals are only practical in nature, then they’re not likely to carry as much energy because they’re not laden with passionate energy. When one approaches goals with just a ‘practicality‘ mindset then excitement and passion are missing and likely it’s not the type of goal that has you jumping out of bed each morning excited for what lays ahead that day. The goal’s purpose is of the mundane variety which doesn’t really set one’s mind and heart aflame. For example, if parents told their kids one day when they’re older, they expected them to go to college and study hard and get a good job. If this child accepted their parents’ goal for them and pursued it, they would in essence accept this ‘American dream‘ for themselves to complete their parents’ wishes. Believe it or not this happens to more college graduates than you may think. Graduates who invested their studies in something because it was the safe, practical, best choice for them. But they’re left scratching their heads, often dissatisfied with where they are in their lives because even though they achieved their goal, the problem was the intention was all wrong. It was never their intention, and it didn’t carry with it any energy of excitement and self-actualization! On the other hand, when an intention is created with ‘energy‘ and ‘passion’ it’s something the individual wakes up excited to in the morning when their thoughts flow in the direction of the desired achievement. There is a ‘wow factor‘ in their minds eye which causes them to continually reflect on the achievement, and feel the amazing energies they’ll experience on the attainment of their highly desired goals. This feeling doesn’t have to be forced or falsely manufactured in their minds in order to try and convince themselves this is what is best for them. Sure it could be a practical goal, but the purpose is driven by a personal longing and desire, not something planned out for them because this was their ‘best or safe‘ course. This is why the individual who holds the post doctorate and the wonderful career one day wakes up feeling dissatisfied, and does a complete 180 degree turn and jumps into a new career, say one of acting or helping individuals in a more discreet line of work. They find their passion after they’ve achieved a goal which was held so long, never challenged or updated, but rather one they ‘just accepted‘ as being the right thing to do, especially if it was created for them by their parents. Interestingly, when people become older, they’re able to create their own goals for themselves, they can do and be whatever they want to be (in fact some want to set passionate goals), but they find themselves gravitating toward achieving safe and practical goals. What happens is they carry with them their former goal setting mindsets and continually hear their psychological parents guiding them. They’re not able to think outside of their old boxes. They hold onto the old values they were taught in terms of setting goals and get the same results – mixed emotions and/or dissatisfaction each time they accomplish what they had hoped for. How can someone change this? Simply by changing the overall ‘goal‘ for completing their goals. I know this sounds like a play on words, but this is the ultimate reality! SETTING GOALS FOR YOUR GOALS! What if you could be or accomplish anything you want to be or have? I want you to truly get into the ‘skin’ of what it would feel like to you. In order to get the ‘feeling‘ state and maintain it, you have to get it to the subconscious level. 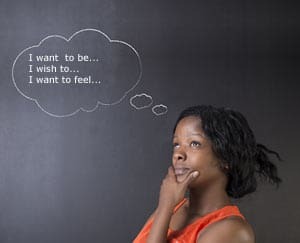 This means old thought patterns which led to feelings associated with them, now need to be replaced with new thoughts patterns which will facilitate more intense, positive feelings associated with desired goal accomplishment. Getting to the root of the matter, in this case the subconscious mind, is best achieved through hypnosis. Hypnosis is the most efficient way to bring about lasting change. Most of what people accomplish from their goals comes about because they ‘talk’ about it in their minds. You see and feel what you want. You create mental scripts and images in your subconscious mind which become your realities as the subconscious mind cannot tell a real or past experience from one that is repetitively placed there by the conscious mind. Keep in mind, these can either be positive or negative! Too many people focus on their old thought patterns, which become their realities and get imprinted in their subconscious minds as their mental blueprints. The problem is once something is in the subconscious mind, people have a difficult time changing things up because it takes effort, and can also be intimidating. Did you know you continually think new realities for yourself and feed your subconscious mind this reality? With that said, your subconscious mind will start to look for ways and/or keep you on the right path to bring more of “these realities” into actual experience. The ‘goal‘ then is to train your subconscious mind to get what you really want. This comes from thinking and ‘really feeling‘ it! Hypnosis is the best way to imprint upon the subconscious mind the things you really want to see happen in your life. The most important part in using hypnosis is to use the right words and set the intentions you want to create for yourself. Too many people focus on what is wrong or what they don’t want, and this ‘junk’ infiltrates the subconscious mind. You see the subconscious mind doesn’t understand the difference between negative and positive thoughts. So if you use sentences like for example “I don’t want to smoke…” it hears “I want to smoke…” and suddenly you’re craving a cigarette – not what you wanted at all! Instead, you want to word things so the subconscious mind has a positive and productive platform from which to operate. See in your ‘mind’s eye’ what you want to come to pass in your life. Your passion, feelings and intensity are what capture not only the attention of the conscious mind, but also the subconscious mind. What it is you’re putting into it should be a priority for something you want to achieve or attain. Where thoughts go, energy flows! If you’re creating the wrong thoughts for yourself (defeating, negative or bitter ones) then you’ll get the wrong results. The goal is to work your mind to your advantage. Hypnosis will help you see and feel yourself as already achieving your desired goals before you get there. Hypnosis is setting up your GPS for the desired destination you wish to arrive at (your intended goals). 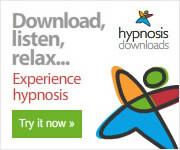 With hypnosis you can personalize the scripts you use to trigger the subconscious mind to focus on the positive. Your thoughts will be positive and since positive thoughts will produce more positive energy, you’ll create experiences and perceptions for yourself that’ll produce the optimal results you desire. In the end, you’re not only reshaping the way you think about setting and planning goals for yourself, but the course of action becomes one that sets you in the ‘intended‘ direction! Hypnosis will help you put your goals on autopilot. Please read this carefully as this trips many people up when having a goal and their next step. Let’s say you eventually get to a goal and it might be completing your degree, or getting a promotion or changing careers – not all goals need, or have to be, this audacious but stay with me on this. These examples can feel overwhelming as some may take a few years to achieve. But you need to be feeling you’re always moving forward on your goal by taking action. So once your goal is set you need to decide on your next steps – your baby steps of action. Well you want to think about what is the smallest step in the direction of your goal you can take right now? For example let’s take the getting a promotion goal. Maybe the first step is getting an appointment with your boss so you can discuss your goal and ask their help in determining what you need to do to earn that promotion. Again keep the step simple and actionable. 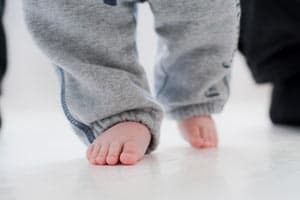 The important point here is to always be moving forward and by identifying the next baby step you need to take, and taking it, you’re providing positive energy and feelings about your goal. I hope I have provided you food for thought and a way ahead when thinking about goals for yourself. Maybe you’ve recognized yourself or somebody else in the clarifying examples I’ve provided to you. You should have enough information to move ahead in future goal setting so you get a different result than maybe you’ve experienced up until now. I mentioned earlier about using hypnosis during the whole goal process and it’s been effective for my clients over the years. However, up until now it’s tended to be related to the specific result I’ve been working on for them, such as quit smoking, losing weight, reducing anxiety, etc. So I developed a short workshop on helping people with their goal process. The workshop provides a different perspective and actionable information on the goal setting process, plus you get a key takeaway hypnosis session to listen to daily for reinforcement.